Learn more about individual volunteer opportunities at People Serving People. 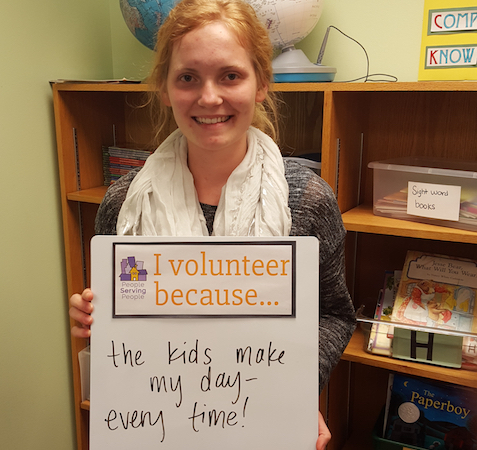 You can volunteer on-site or off-site as a group to make a difference in the lives of families experiencing homelessness. Volunteer as a meal server. We prepare nearly 200,000 meals a year for children and their families sheltering with us, all served by volunteers like you. Your family can volunteer by creating kits at home or at our on-site event, Families Volunteering Together. A portion of the People Serving People website is just for our AMAZING Volunteers, YOU!